‘How would you like your remains prepared? Boiled? Roasted? Braised? Fried?’. The opening lyric to the new single from Manchester’s, Mold gives you an insight into the weird world of the band. 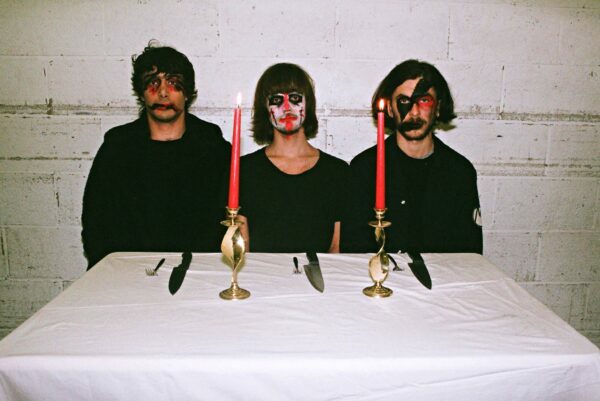 ‘Cannibal Date Night’ feels like a lure to the slaughter, plodding bass lines and curious chants are followed by a barrage of frantic guitars. The vocals could’ve been recorded live from a cult meeting, with screams of ‘Im here to kill you’ joyously belted out. Production wise, theres nothing polished or lined up with precision, its as raw as it gets. That’s the intention of this band. Following this disturbing single, there may not be many queuing up to meet the members of the band, but we bet it’s one hell of a show. Listen to ‘Cannibal Date Night’ below. If you’re in Manchester, the band have a single launch on Valentines day at the Soup Kitchen. Full details here.